SNIPER 3D ASSASSIN ' FUN FIRST-PERSON SHOOTING GAME! Sniper 3D Assasin is a first-person shooter in which the player assumes the role of a sniper. In this game, you must aim and then shoot down targets on its various missions. The emphasis of the game is on precise aiming to fulfil the mission objectives given to you. The player has to find the person given to them in their mission and ventilate their head. No cheesy objective arrows here, just good old spotting! Completing missions earns the player coins which are used to upgrade guns and even buy new ones, extra cash is given for headshots. You aim the rifle by tilting the device and it makes it look and feel real life. There is a shoot and reload button and reloading take about four seconds at the outset, so players can't afford to miss. Gameplay is mission-based and will take you to various areas of the city to seek out your revenge. Graphics are nicely drawn up, you have the choice between dynamic and touch controls and gameplay will test your patience and touch at making your shots ring true. Just a quick note with respect to the blood setting is that if you choose to turn on this feature, Sniper 3D can be a rather graphic video game. If you are playing this game around small kids or at the supper table, you may want to disable this feature. Your gaming menu will also have the option to access the game's package menu, as well as access to your weapons upgrades, arsenal and missions. Sniper 3D does start game play out with a series of tutorial missions. You are given a top of the line rifle to use and, during the first few missions, you will learn your way around the game screen. Sniper 3D Assassin has some annoying and easily fixed issues, however. The worst one is the way that the reload button is right next to the bullets that are tapped to fire. This means that often the player will reload by accident, running missions and making misses very costly indeed. This could have been easily prevented by moving the button elsewhere. 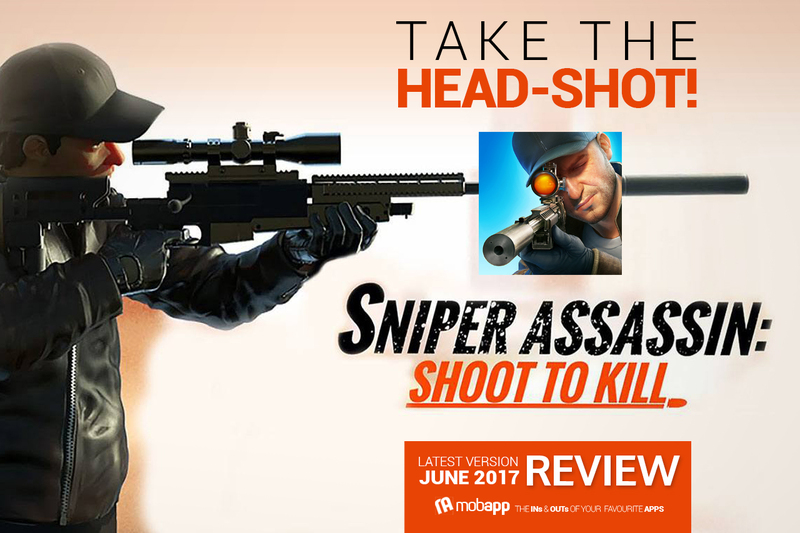 Sniper 3D Assassin looks excellent. It feels very realistic as you scope down from a nearby roof and search for your target among the other passersby below. The blood and gunshot effects are super and the sound works well too, from the crack of your rifle to the hubbub of the city around you. Sniper 3D Assassin: Shoot to Kill may not appeal to everyone, but if you are in search of a challenging action/adventure game for your smartphone, it is worth trying.